Christmas is right around the corner, but no matter what time of year it is there is always a perfect time to be checking out gift ideas for the adventure traveller! If you’ve got friends or family who love adventure travel, then make sure you buy them a gift that will be useful for them! The first thing I think about is what are they into. Camping? Hiking? Photography? Travel? Then I try and get something they I know I would use as well. We have made a list to help you find a gift for your adventurous friend. Remember that some things can be hard to choose, such as clothing, as everyone has a different idea of what they will like. So getting accessories is always a safe bet! Everybody loves laying around in a hammock! But did you know that sleeping in a hammock is also an awesome way to stay in amazing places and keep the costs down? Guaranteed that the adventure traveller in your life has at least thought about doing this once in their life (and probably already has done it). 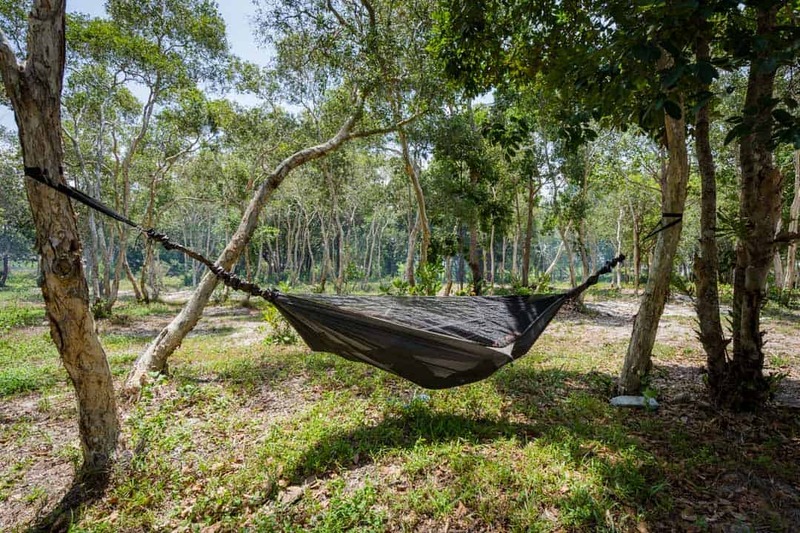 These days you can buy some excellent hammocks that are designed specifically for camping. They’ve got built-in mosquito nets, are lightweight and made of durable materials. Using a hammock for camping has advantages over a tent. You can hang it over uneven terrain, being elevated keeps the camper away from any nasty bags that are on the ground, and they pack up to be smaller and lighter. And the best part is that when you can still use them if you just want to lay around between some palm trees! We have used ours camping in the bush in Australia, and a couple of weeks later we were on the beach relaxing in Thailand. We recommend the Expedition range by Hennessy Hammock as they are very light and strong. A perfect gift idea for the adventure traveller! We bought one of these a few years back and love it. Basically it is a compact, foldable bag, which is great for those times when we are heading out for the day and need a daypack, but don’t want to carry our big one around. It folds down to pocket size and is lightweight so we don’t even know it’s there when we are travelling. We quite literally always have one on us when we head out on excursions. Perfect for the beach, going to the markets, putting your jackets and water bottles in while you’re hiking, or just about anything else. As a gift idea for the adventure traveller, it’s ideal. They’ll be able to stay as light as possible when out in the wilderness, and can pack it away when they’re aren’t using it! Sometime you just want to give your friend an experience rather than an object. We totally get it! The gift of doing something adventurous will always be more memorable than anything else, but how do you buy something for the traveller who is always on the go? Lately we’ve been using Tinggly for sourcing all kinds of great adventures on the road. 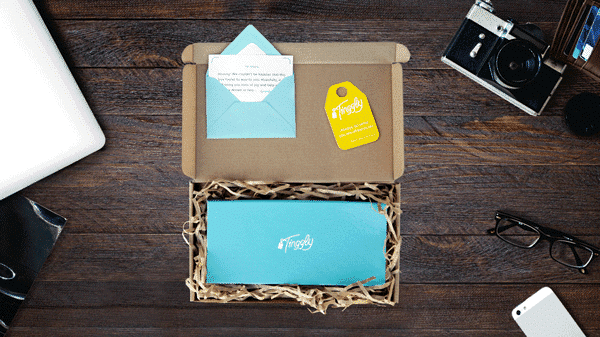 Rather than being limited to one thing in one place, Tinggly has a huge amount of things to do all over the world! How it works is you buy a (virtual) gift box, send it to your friend or family member, and then they can jump on the website and find something they want to do in the country they are going to. For example we’ve been base flying in Berlin, canyoning in Montenegro and even sailed on a pirate ship on Sydney Harbour. All by using Tinggly gift experiences. We’re yet to find anything else that is as flexible and diverse as this for the adventure traveller. So if you’re at a loss at what to get someone who is about to go travelling around the world, check it out! Jarryd has had his Leatherman multi purpose tool for over 10 years now, and it is still going strong. We have used it for all sorts of things: chopping firewood, cutting fruit, fixing reading glasses, repairing our motorbikes, breaking open padlocks that we’ve lost the keys for (note for the security conscious people out there – get massive padlocks), and whole lot more. It is always on us and it’s been one of the best purchase we have made for our travels. We will honestly not go anywhere without it. 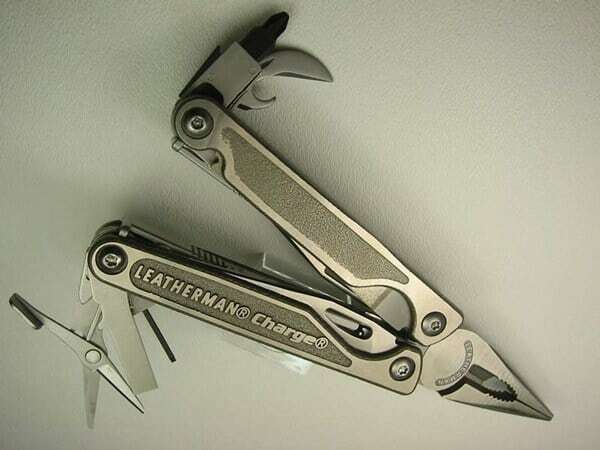 We have the Leatherman Charge TTi, in case you’re wondering. For the adventure traveller they will never run out of uses for theirs. It may just be the best gift you could ever get them! NOTE: If they are the kind of person that just takes carry-on luggage, we do not recommend this gift as it will get confiscated at security. If they have a bag going under the plane it will be fine. We have had our stainless steel water bottles for the last 3 years, and they are magnificent. They have fallen off our motorbikes, been with us hiking, kayaking, biking, rafting and just about anything else we love to do. They are tough bottles with a wide mouth, meaning we can fit our water steriliser in there as well. The wide mouth also makes it easier to fill up. Because they last forever they make a great gift idea for the adventure traveller. They’ll have it with them always, and if you get them one with a carabiner attached to it they can easily clip it to their backpack or belt loop. Besides being convenient, it is also great to have for the environment so they’re not always buying plastic water bottles everywhere they go. There is one thing that can’t be controlled when you travel, and that’s the weather. Nobody wants to get stuck out in a freak storm while they’re hiking or trekking through foreign cities. But luckily we have a secret weapon that we always have with us – a compact rain jacket! If you’re friend is travelling to warm climates, they’re not going to want a jacket that is super thick. The trick is to layer up in multiple sets of clothes, not wear one giant piece. For that reason we recommend jackets that are compact so they don’t take up much room, and they’re lightweight. Here’s why you need a rain jacket…. These days you can get some amazing, waterproof jackets that fold right into themselves and can fit in your pocket. 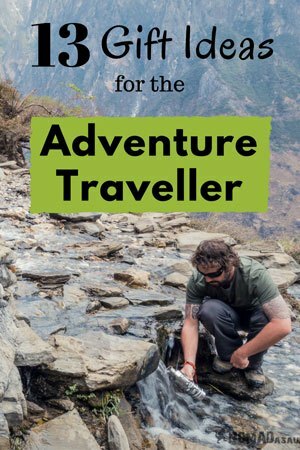 Definitely worth getting as a gift idea for the adventure traveller! 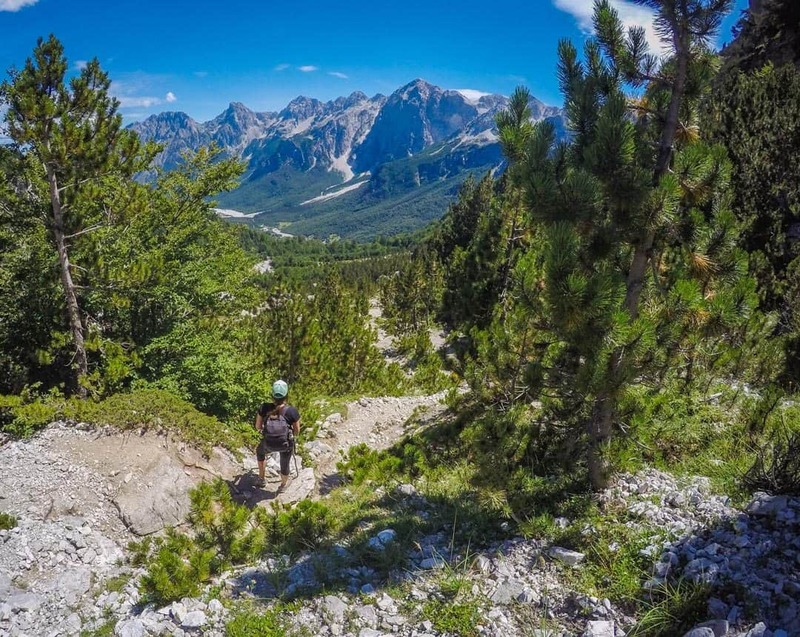 Most adventure travellers love trekking, and anyone who is doing some serious hikes usually likes to use trekking poles. These days they are super light, sturdy and telescopic so much easier to pack. Personally, I am not comfortable hiking when going downhill, so having trekking poles give me the confidence I need to get down safely. Trekking poles are also great for people who have knee or ankle problems. When buying quality trekking poles look at the weight, packing size, and if they have comfortable handles. We wear sunglasses all the time, for obvious reasons. They protect your eyes on bright days, they cut through glare when near large bodies of water and they give more definition when looking at landscapes. So in our opinion, a good pair is essential. We have bought many cheap $5 pairs over the years, and they never last. We discovered SunGod sunglasses this year and they have been perfect for an adventure lifestyle. Why? Because they are “adventure proof”! Jazza trying to act cool in his SunGod sunglasses, while staring out at the Transfagarasan Highway in Romania. 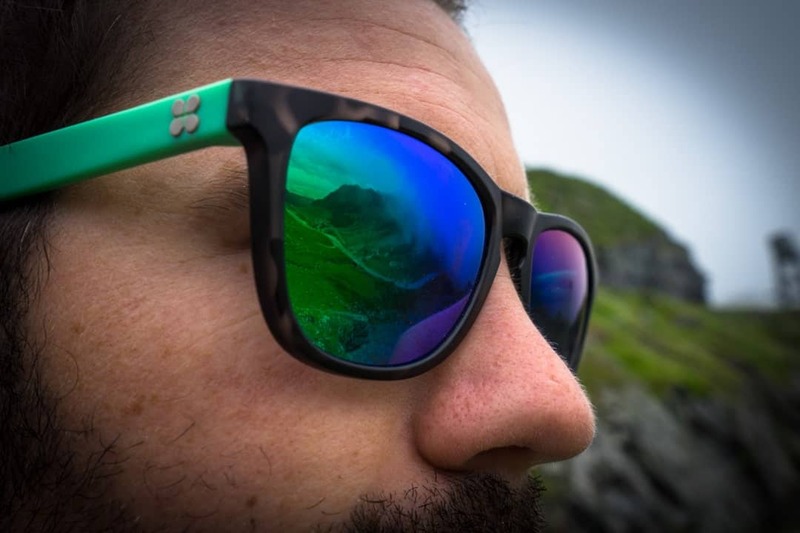 The lenses are polarised, scratch resistant and shatter-proof. The hinges are flexible so they bend, not break, and they are simply awesome. The glasses are also fully customisable, so you can work out a cool design for your friend! They also make different styles, and even ski goggles! When you are out hiking or camping, carrying the amount of water you need can be heavy and an absolute hassle. Also in many countries it is unsafe to drink the tap water, meaning you have to buy bottled water everywhere. This is bad for the environment, and bad for a traveller’s budget. We purchased the SteriPEN a few years back and used it all the time in Mongolia, China, Southeast Asia, Central Asia and parts of Europe. 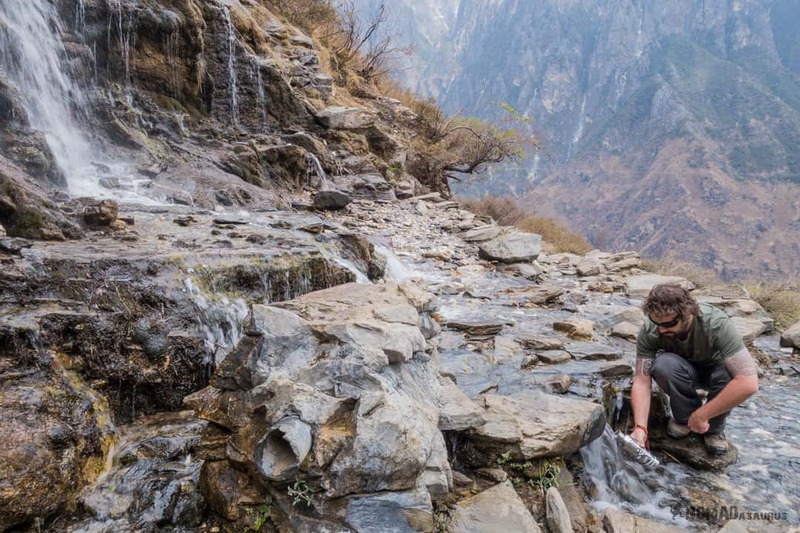 We filled up from rivers and streams, sterilised it right there, and was able to drink the water straight away. Depending on where we are we’ll also just fill up our stainless steel water bottles with tap water and sterilise it. Our buddy Dan using our SteriPEN to make the water in this Mongolian river safe to drink. There are lots of different ways to clean water, including filter systems and sterilisation drops. Personally we love the SteriPEN Ultra because it is light, reusable and rechargeable, while killing most bacteria. Just stick it in a water bottle, hit the button and stir for 60 seconds. Any adventure traveller will love this great gift idea! It might seem like an odd thing to buy an adventure traveller, but trust us, this is a very handy set to have. Eating out all the time is expensive, and if you’re camping you’ll need something to put your food into. And if your buddy is planning on doing any kind of long-term travel or get off the beaten path, they’ll appreciate this. We have used ours more times than we care to count, and the great thing is that it doesn’t take up any room in our backpacks. It is great for camping, trekking or when you just need a cup or bowl for food and drinks. If you’re friend gets sick of eating noodles and rice every meal in Asia, they can go out and buy muesli instead and have their own food when they want! Head torches are such an amazing accessory to have when travelling. Whether your friend is into camping, hiking in the wilderness, staying in remote villages or even just crashing in hostels, this is something that is almost guaranteed to get a lot of use! We have used more than a few headlamps in our travels. We had very expensive Kathmandu ones that broke within a few weeks (not recommended) and super cheap ones we picked up in China (worked, but also not recommended). This time we purchased a pair of Black Diamond rechargeable head torches, and love them. Carrying batteries is a pain, and these charge by simply plugging them into a USB power source. Definitely worth getting for the adventure traveller. The adventure traveller is rarely going to be staying in places that always have electricity. They’ll be out in the wilderness, staying in isolated villages and sleeping in random places. So having a way to charge their accessories is something that they might have to think about. All across Mongolia and Central Asia we used portable power banks to keep our phone, camera batteries and headlamps charged and ready for the next adventure. The problem with these though is that once we went through one charge, we’d need to find electricity again to charge the power bank. Ok if you’re gone for a day, not so much if you’re gone for a week or more. Solar panel kits remove that issue. Now people can charge their gear on the go and not worry about having the power pack die on them. 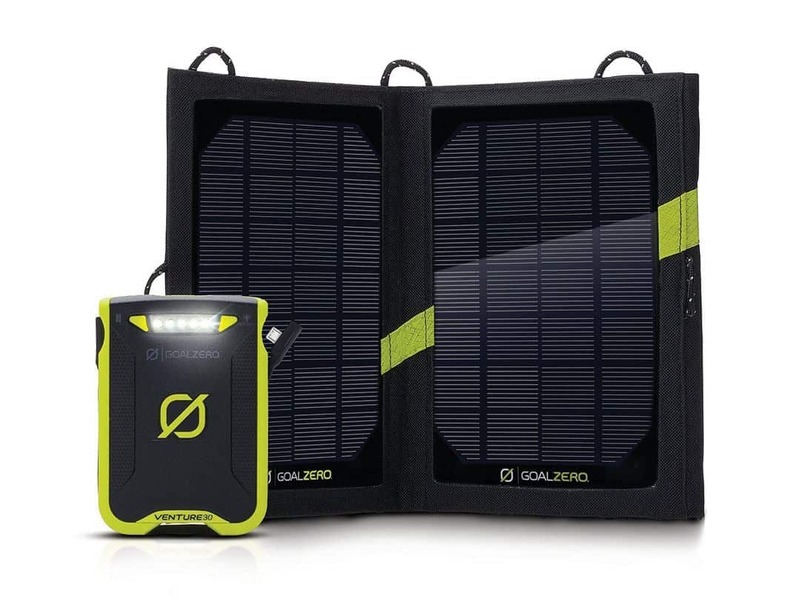 To be honest, we’ve never used the Goal Zero products, but we’re buying one for our next trip to South America and Antarctica. To us they seem like the perfect accessory for the adventure traveller! Is your adventure traveller going to different countries? Well each country may have a different wall insert to charge their electronics. It is annoying not having one and they will have to locate the nearest shop or market and go buy one. Sometimes it is a cheap poor quality one and doesn’t work. That is frustrating (it’s happened to us, a lot). We used to do that all the time until we bought one of these universal travel adaptors. It’s been awesome. Flying from one country to another for a 5 hour layover then on to our final destination we have been able to charge in all three countries with no worries.